What does it cost to have a listing agent? What will it cost me to have a professional list my home? One of the biggest concerns homeowners face when selling their house, aside from the price to list at, is the cost of the commission to the Realtor. Here is some important information about real estate commissions and the value a Realtor can bring to your transaction. Known Up Front: When signing the initial listing, the seller and agent will agree upon a percentage or amount of money to be paid for the commission. In most cases, your listing brokerage does not receive the full commission, but shares an agreed upon portion with the brokerage that represents the future buyer of your home. Commissions are Negotiable: The commission percentage isn't set and can be negotiated. Talk to your agent about their fees and what services they provide for them. Remember that discount brokerages often provide discount services, so make sure you know what you are getting for your money. Payment Not Due Until Completion: In most cases, no commission needs to be paid to your Realtor until the property has sold and the sale is complete. 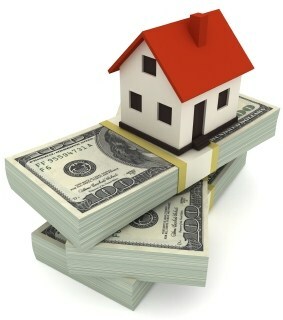 Thus, if the home or property never sells, the Realtor will not get paid. If it does sell, the Realtor will get their commission at closing. A Worthy Investment: Commissions can seem like a lot of money, but you must consider the values received for the investment. There are a multitude of great benefits to hiring an agent. For example, statistics show that homes sold by real estate agents actually result in a higher sales price. The professional knowledge, exclusive sales information, and effective preparation and marketing that can be provided by a Realtor can also save you time, research, upfront advertising costs, and unnecessary stress. Selling your home can be one of the biggest financial transactions you experience in your lifetime. When you consider the large amount of money that is being handled, it only makes sense to use a professional to assist in its proper care. Afterall, you wouldn't try to deal with a financilly large tax issue without the help of a CPA, so why try and handle the financial impact of the sale of your home without the assistance of a Realtor? See more about the services TripleCord Real Estate provides their clients HERE.